Here’s a quick heads up for you. You might have missed this one in the comments on our “Gigs” thread so we’re giving it a brief mention here. The RFU has a premises licensing application in with El Brute covering the sale of booze on a wide ranging set of potential activities across the site, seven days a week, generally until 11.00pm but later at weekends. Concerts, plays, films, dance, “late night refreshment” you name it, they all get a mention as do ‘off-sales’. The deadline for comments is soon (9th August) and what with it being summer and the holiday season and all the rest of it we thought we’d give it a quick mention just in case you hadn’t seen it or had missed the RFU’s tweets about it… not that we’ve seen any from them either. Weird. In fact the comment deadline was extended because, as LBRuT say, the applicant “did not display site notices correctly”. Also weird. Meanwhile an application from Strawberry Hill House for similar, although on a more modest scale, is also being considered at LBRuT. The deadline for comments was 2nd August. Simply a sensible case of being prepared for all eventualities? Or a case of the thin end of the wedge getting just that little bit fatter? As ever, it’s your call. The full application is on LBRuT’s website and there’s a group calling themselves Heatham Alliance who have a Facebook page with more about the RFU’s application. We’re just putting it out there and if you want to comment you’d better do so asap. The messenger might have been a bit slow on this one but there’s no need to shoot. Capiche? UPDATE: On 14th August RFU Home Turf tweeted this: “It has come to our attention that there is misinformation being circulated about our forthcoming license application. The application is to include the new East Stand building within the current stadium licence. It is not to extend our hours or hold more events”. So, simply a consolidation of existing regs to cover the new East Stand development? Now why didn’t they just come out and publicise that in the first place? How did you hear about the Strawberry Hill application? I’m trying to find out which publication is was advertised in. “Misinformation” the RFU called it. 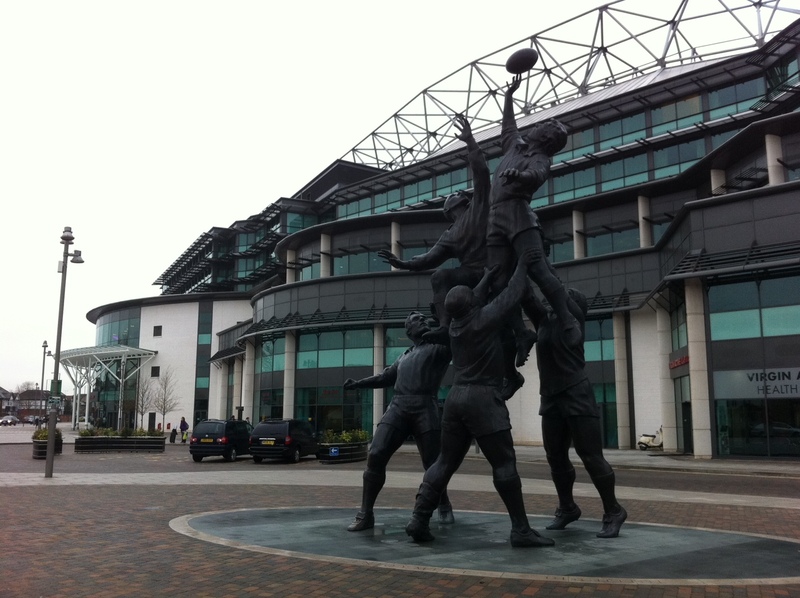 But this is not an application by the RFU for a variation of the existing stadium licence. It is an application for a New Licence according to the Council. A New Licence, gettit? Will more large scale noisy Events take place at the Stadium? NO, he wrote. The misinformation is from the RFU Events Director! The RFU have kept very quiet about their plans to expand Twickers as a venue for late-night concerts from May to September. Following the Eminem concert my infirm neighbours front garden was utilised by aggressive drunk fans high on dope as a Toilet. These fans were aggressive and threatening when aske to leave. We feared for our safety. I telephoned the RFU. No one there to pick up a phone. I dialled 999 twice and on both occasions was told the police had insufficient resources to attend and only would if life was at stake. Public safety cannot be guaranteed at these events and it stands to reason that in such circumstances that alcohol sales should be prohibited. Richmond Council should not grant the license. They would refuse if it was a pub or nightclub. Our streets are turned over to anarchic chaotic crowds with no respect for residents. Decent well mannered rugby supporters Yes that’s what we signed up for but not drunken yobs on dope. Applying for a licence for an event, or the specification of an event on an existing licence by variation, is important for a number of reasons. Not least to give residents a chance to have their say but also the opportunity for the imposition of conditions, for instance with regard to noise monitoring and the sale of alcohol. It is true to say that Strawberry Hill House has applied for a premises licence for their long running Tercentenary event and this is the correct procedure. However, there has been concern that for the last three years their music and fun day has been run on an amalgamation of Temporary Events Notices (for up to 499 people) and their ordinary premises licence which does not specify the event. The effect on residents of large events, especially multiple commercial events, must be considered by the licensing authority. Of course, it may not be known generally that there is a connection with an RFU contractor and the organisation of Strawberry Hill events; maybe a reason behind the very loud broadcast of their event at the end of last month which is currently under consideration by LBRuT’s Environmental Health department.